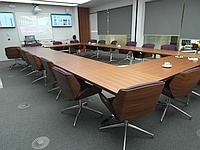 Services / facilities within the building include meeting rooms and a cafe. 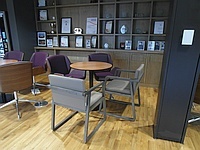 Related link Corporate Suite Cafe. 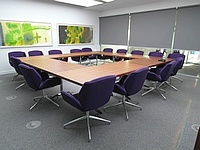 The Corporate Meeting Suite is located to the front of the building on level 6. 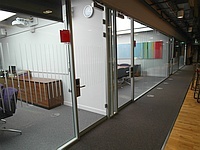 There is level access from the main entrance via the central lifts. 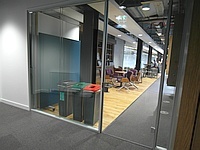 There is step free access from the ground floor entrance using the front lifts via Cafe Zero. Please contact the venue for details of opening times and Opening times for the venue vary according to bookings/events taking place. 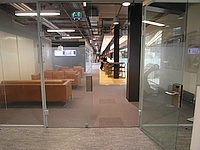 You are on Entrance (Corporate Suite Entrance). Skip to the next section. 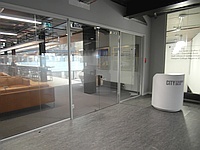 This information is for the entrance located towards the front of the building on level 6. You are on Entrance (South West Entrance). Skip to the next section. 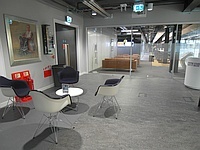 This information is for the entrance located leading to the cafe from the south west. 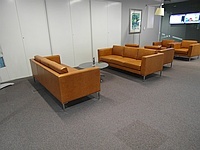 The nearest table is approximately 15m (16yd 1ft) from the corporate suite entrance. 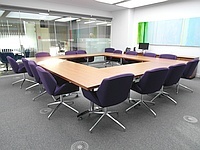 The distance between the floor and the lowest table is 38cm (1ft 3in). 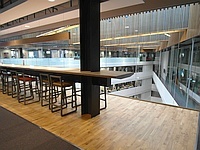 The distance between the floor and the highest table is 97cm (3ft 2in). 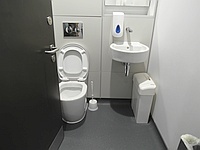 This accessible toilet is approximately 23m (25yd 6in) from the corporate suite entrance. 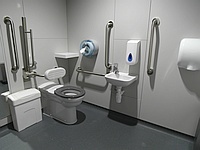 This accessible toilet is located through to the left as you enter. 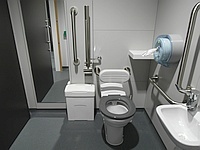 The dimensions of the accessible toilet are 225cm x 170cm (7ft 5in x 5ft 7in). 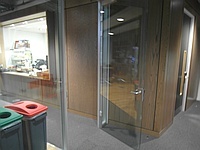 The lateral transfer space is 97cm (3ft 2in). The toilet surveyed is located through to the left as you enter. 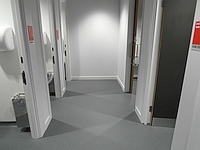 The standard toilet surveyed is approximately 25m from the corporate suite entrance.